I realize I hadn't updated the blog for months, so I went through my unedited photos folder and found so many designs I forgot to post! This is one of them, and I can't for the life of me remember why I shelved the photos - Guys, it has the TARDIS! Elizabeth & Leah reached out to me more than 2 years ago to create a ketubah that will reflect them in all their elegant, playful, fannish glory. When they pitched the idea, the first element they mentioned was that the Tardis had to be hidden in the design somewhere. They also wanted a take on the Twin Trees design with Dogwood tree and Norwegian Pine tree on either side to symbolize them, to join over the text in an arch with a selection of their wedding flowers at their roots - oh and their pets! They sent thorough reference photos and I started drawing! 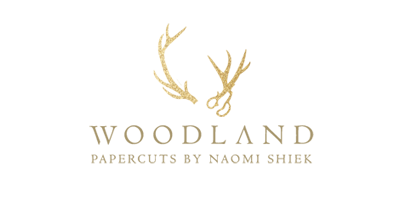 When I can papercut trees, especially ones with a great thick twisted trunk like the dogwood, I am happy as a singing bird. Liz & Leah made a great color choice - look at that metallic shine! 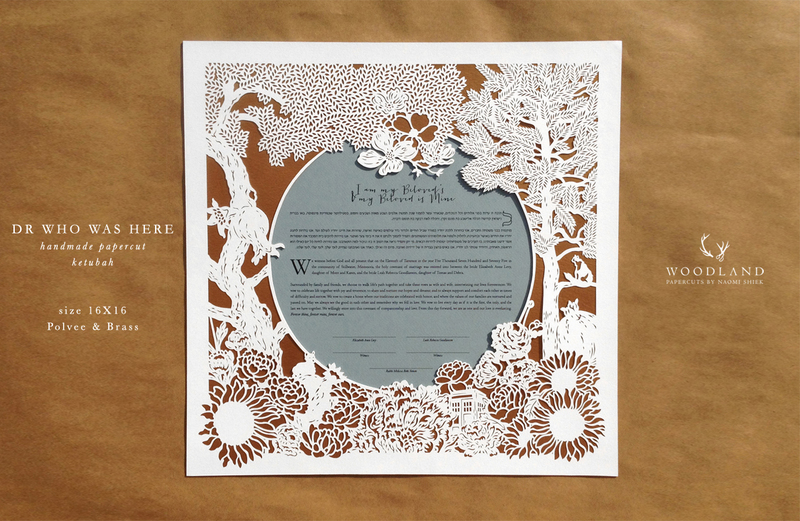 - and without much ado they received their ketubah with days to spare! 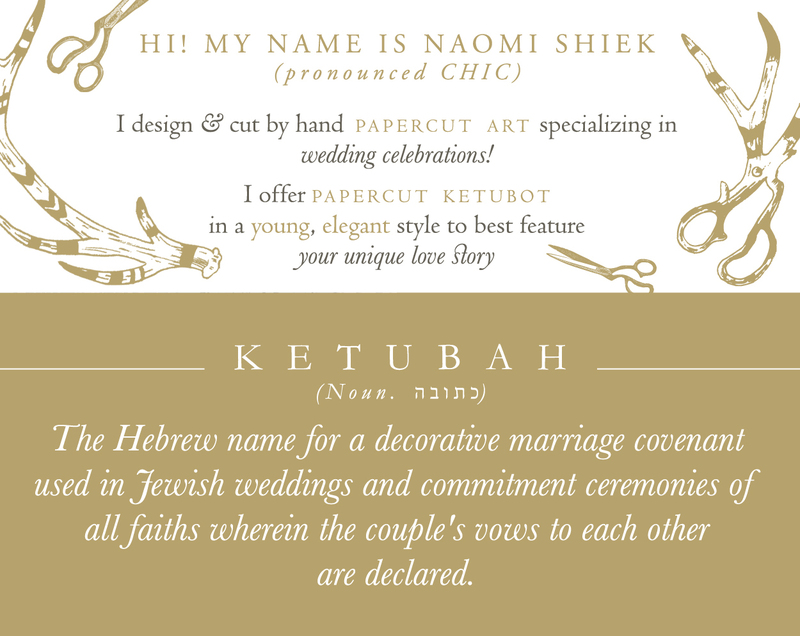 More than two years have passed since I had the honor of creating your heirloom ketubah. I hope the love and devotion shining in the work held you strong through thick & thin, and that you're still watching Dr. Who (a female doctor! Who'd have thunk it?!). and to display in your home for a lifetime to come.